Few things are as frustrating as a flat tire. Always rearing its ugly head at the most inopportune time, a flat tire immediately puts us behind schedule, and leaves us extremely frustrated. The trick to contending with this annoyance is a quick and painless tire change. Mighty Towing Huntington Beach is here to help you get that tire changed and get you back on your way. We’ve helped change tires across Huntington Beach, California, and the surrounding region. We provide a quick, reliable, professional, and affordable service that is geared towards helping you get back to your routine as quickly as possible. Tire Pressure – Tires that are too hard or too soft can quickly become damaged, allowing wear and tear to ruin them. Valve Stem Damage – If the valve stem, which is used to inflate the tire, is damaged it can slowly release air leading to a flat. Road Hazard – An emergency stop, a shed load, or sharp debris in the road can puncture your tire as you drive. Vandalism – On rare occasions, tires are slashed or punctured on purpose, leaving you in search of a flat tire change. Whatever the reason for your flat or punctured tire, at Mighty Towing – we’re here to help. We can have an expert technician out to you within 30 minutes, meaning any inconvenience you suffer is limited to just a short time. We’ve been helping the Huntington Beach community for years and we know you want a service that’s reasonably-priced. We don’t mind that at all. That’s why we offer a free quotation and an affordable tire changing service, with no hidden costs. 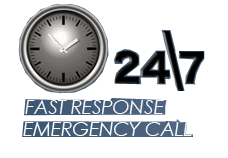 Our service is available 24/7, meaning you’re just a call away from the help you need whether the Californian sun is beating down or the dead of night has drawn in. And don’t worry about public holidays and festive seasons – we’ve got you covered then too.